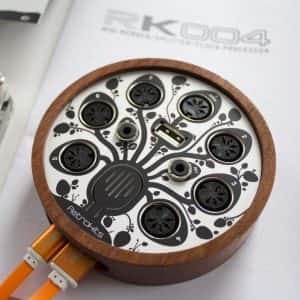 The RK-002 ‘Smart MIDI cable’ has already found it’s way in various studio and live setups. 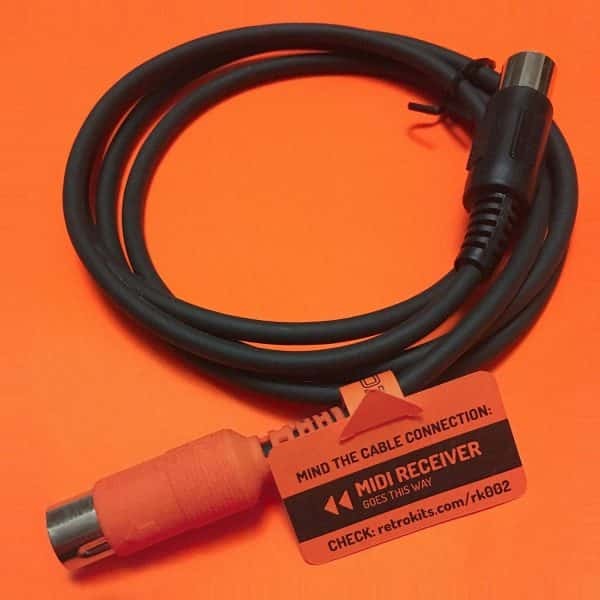 It looks like a +/-1.5m ordinary male-male MIDI-cable but… it is not! It has a microprocessor on board which ‘bends’ or even generates MIDI data on the fly. 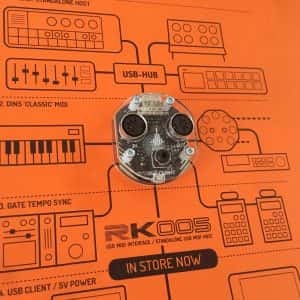 You can order it pre-installed with fixes and additions for specific devices like the Volca Sample, Kaossilator, Digitakt,.. and it can add MIDI effects to any synth like an Arpeggiator, PolyMUX (polyphony MIDI chaining), Sequencing, Euclid,… apart from the offered pre-installed firmwares you can try a multitude of MIDI processing apps on our DUY Exchange Portal or even write your own by using the Arduino IDE and our custom RK002 Arduino Board Library! Read more about the RK-002. IMPORTANT NOTE: It is not wise to use multiple midi-powered devices on one MIDI output. Since the RK002 derives it’s power from the MIDI port you should use a proper thru box with it – NOT an audio splitter or such. Also, a thru-device like e.g. the MIDI Solutions Quadra Thru – which also harvests power from the out-port – can even leave the RK-002 in an unuseable boot mode!